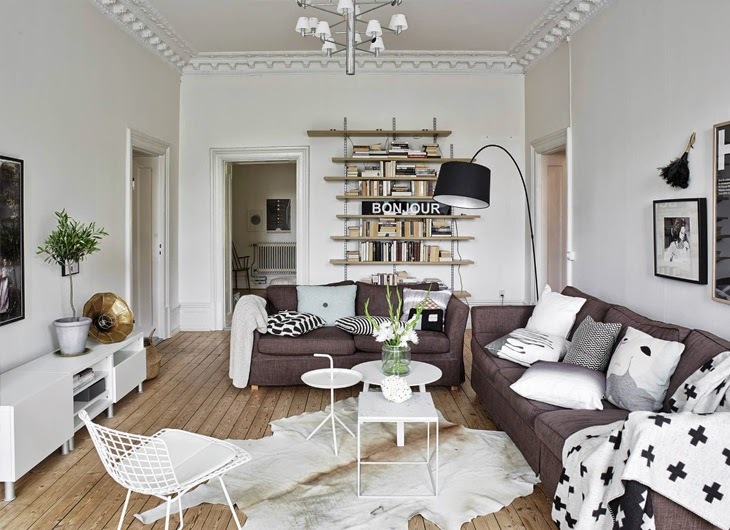 Oh my, this is really nice. 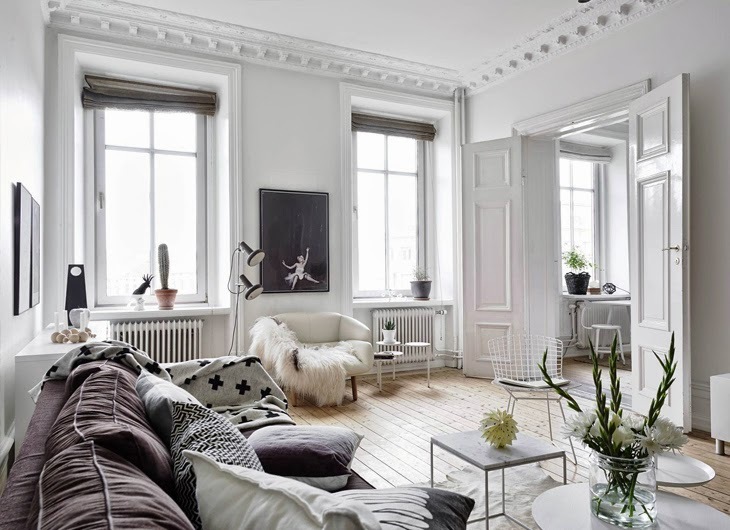 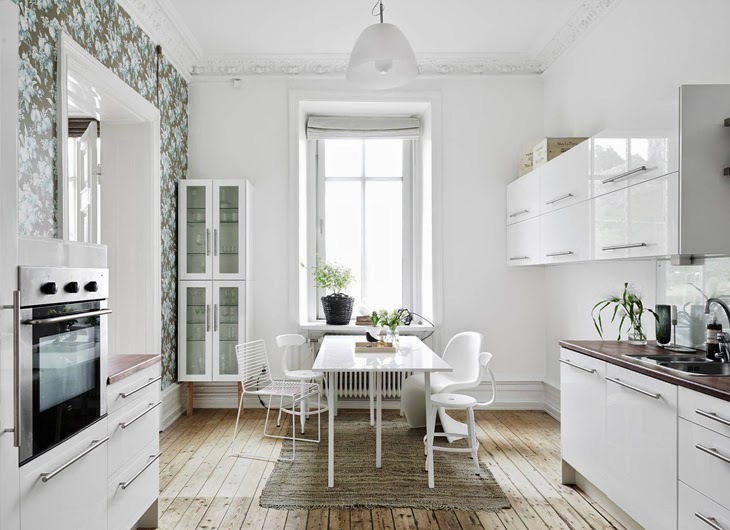 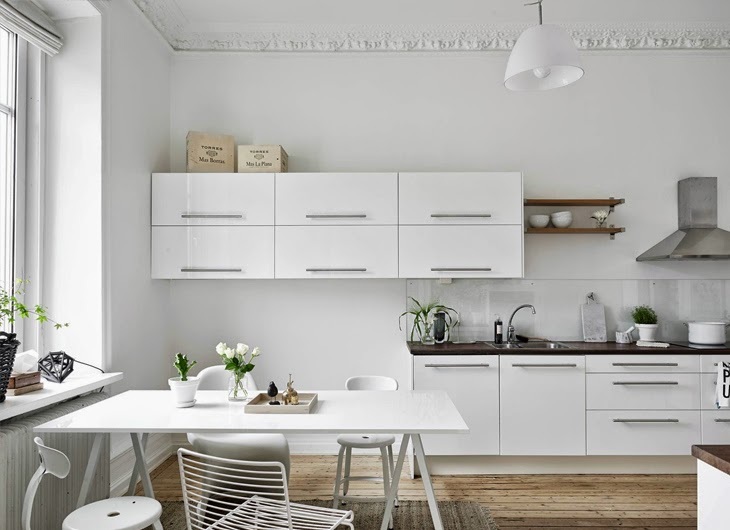 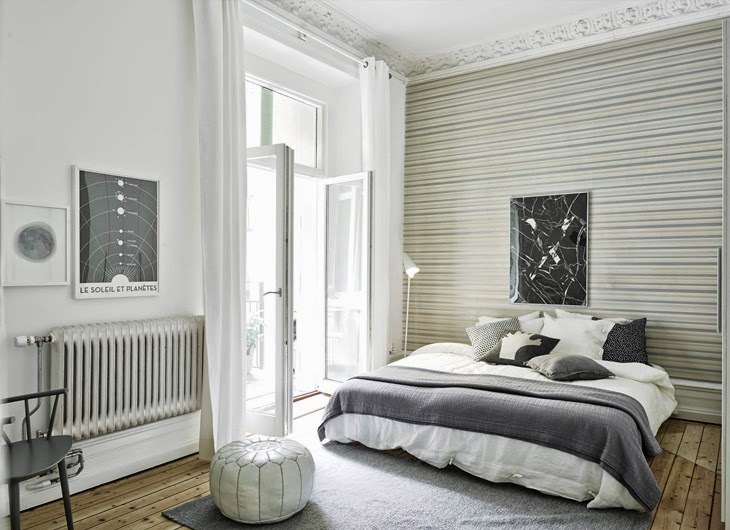 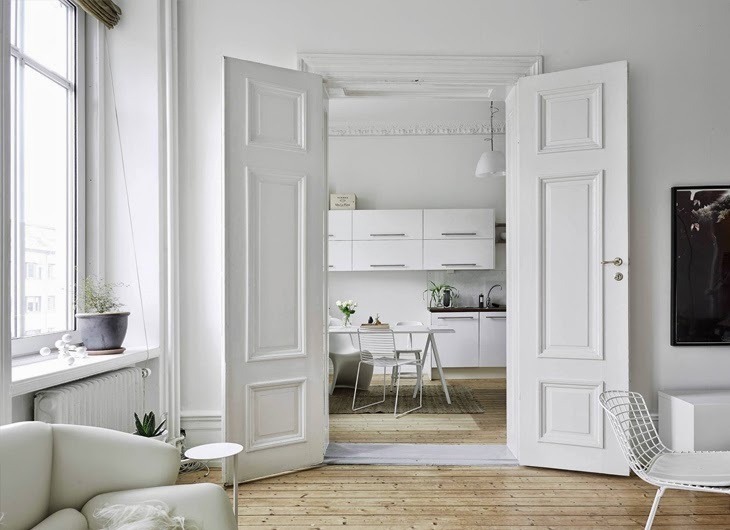 Bright, clean, black and white - pure Scandinavian. 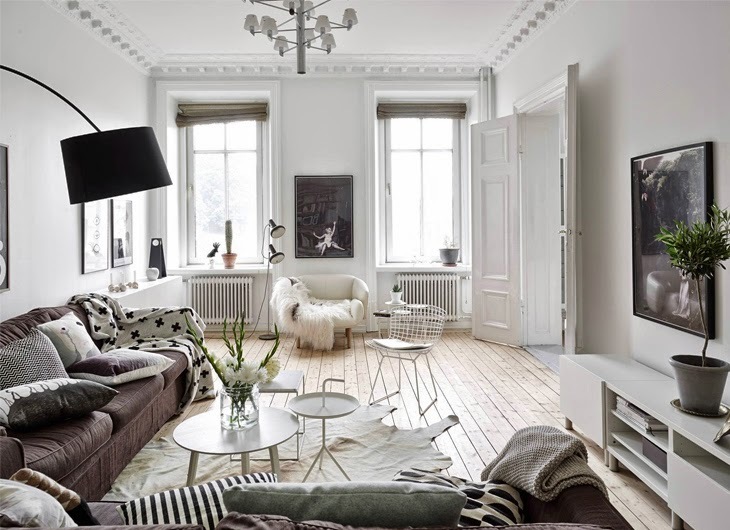 The living room looks beautiful, with the white furniture and contrasting dark grey sofa and decor, everything is very well balanced.